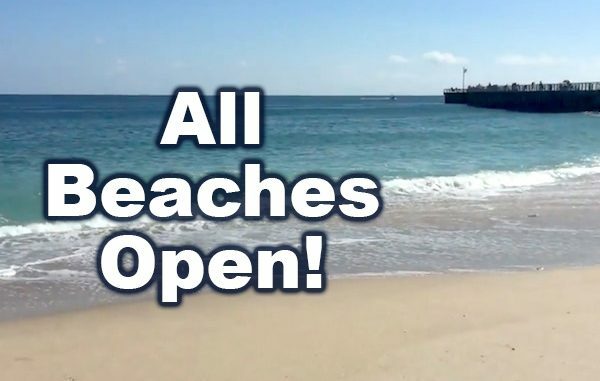 Sebastian Inlet, Vero Beach, and others beaches in Indian River County are now open. No more red tide. SEBASTIAN – Red tide tests at Sebastian Inlet, Vero Beach, and other beaches in Indian River County are negative, according to county officials. “All guarded beaches in Indian River County, including the City of Vero Beach, are open today,” officials tell Sebastian Daily. The only beach not open today is the Tracking Station Beach Park, which is delayed due to cleanup activities. Also, there’s been no evidence of fish kills in the Indian River Lagoon. The dead fish seen last week came in through the ocean current. Sebastian Daily has been reporting the improving conditions since Saturday.